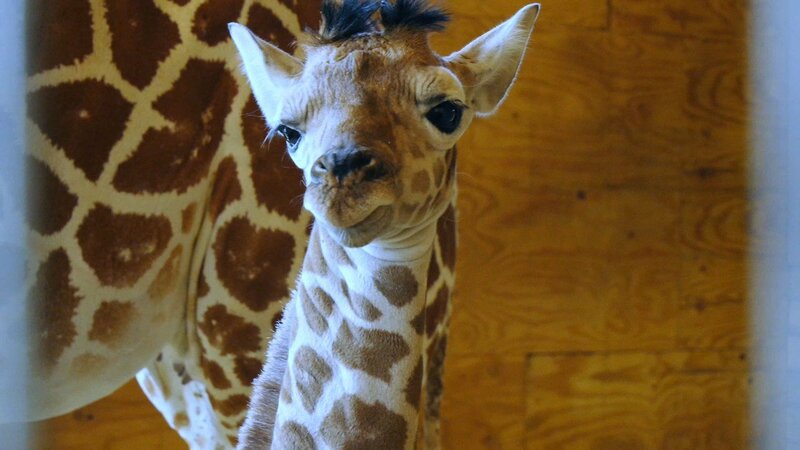 Millions watched as April the giraffe gave birth to a healthy baby boy on Saturday. When the Giraffe Cam launched back in February, Jordan Patch, owner of Animal Adventure, had no idea it would grow into a worldwide sensation. "For us it was business as usual," says Patch. Animal Adventure Park, the Patch family business in Harpursville, is a unique day job to begin with, but one that was about to get a lot more interesting. "We now had millions of followers, thousands of emails daily," says Patch. The live giraffe cam was originally intended to keep the community updated on April's pregnancy while the park was closed for the winter, but before long, the world was watching. According to Google Trends, April has a lot of fans in Washington, Atlanta, and even London. We knew that April had gone viral. — Jordan Patch, Owner of Animal Adventure Park. On Saturday morning, 1.2 million people watched the birth. All that attention has changed a couple things for the Patch family. "Balancing time with our daughter and my wife's career and the park, and now the public sensation that the giraffes have become," says Patch, "It's just a balancing act." Between national media and concerned livestream viewers, the phone has been ringing off the hook. "They feel they need to reach out to us to let us know that something's happening or a light's on," says Patch. In anticipation of opening day crowds, the Patch's are assigning more staff to the giraffe area and adding additional parking. The park opens for the season on May 13th.